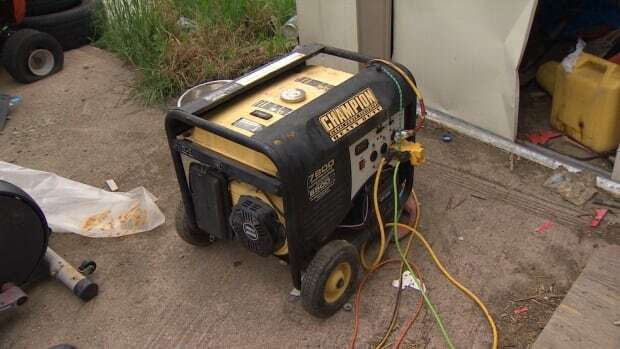 A St. Stephen couple who fell behind on their heating bills are living with their teenage son in the dark and running their fridge on a generator after being cut off by NB Power now that the no-disconnect period has ended. "I did know it was going to happen," said 53-year-old Elizabeth McMorran. "And I tried everything I could do." 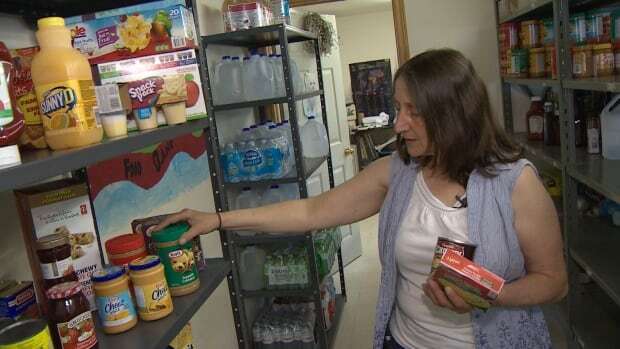 McMorran said she and her 58-year-old husband, Phil, have been scrimping and eating noodles, but it's been impossible to make their social assistance cover all basic expenses. 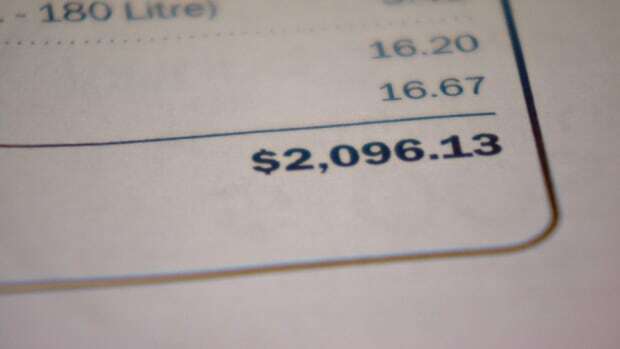 Every winter month's heating bill added about $500 to their NB Power debt, while they redirected what money they had to food and warm clothing. She said there should be an emergency fund for people in her situation. "I'm not talking about slackers who are getting drunk and doing their thing," she said. "We don't smoke. We don't drink. We don't do drugs." "We've got a 17-year-old son that we have to take care of. And this is how he's going to end his graduation year? Not if I have anything to do with it." It's a brief moment of bravado in a what is clearly a desperate situation. Dishes are piled in the sink. The floor is sticky. McMorran said she travels to her neighbour's house to take a shower and use the phone. She apologized several times for her appearance and the state of the kitchen. Phil McMorran, who trained as a carpenter and used to run his own business building concrete foundations, now has to hobble around. Both of his feet are bandaged and in splints, ulcerated by diabetes. He's worried about finding money for gas to keep the generator going. He has to store his insulin in the fridge. At 58, he fears his health will never get better. When asked what they're going to do, the McMorrans said they're working with an accountant and planning to file for bankruptcy. They're convinced it's their only way to clear their debt and get their power back on. In her role as co-ordinator of the food bank in St. Stephen, Donna Linton said she had five families who reported last week that they had lost their power and she suspects another three are in the same predicament. "It's an annual thing that happens this time of the year," said Linton, who's been running the Volunteer Centre of Charlotte County since 1993. Linton said the no-disconnect policy, which runs from Nov. 1 to March 31 and protects customers who are in arrears, sometimes leads to unintended consequences. She said families may redirect their limited income to other essentials and the debt starts to build. "So what I'm hearing is if a family has a $600 power bill, they might put $250 on it, if they can every month. Therefore those arrears accumulate. 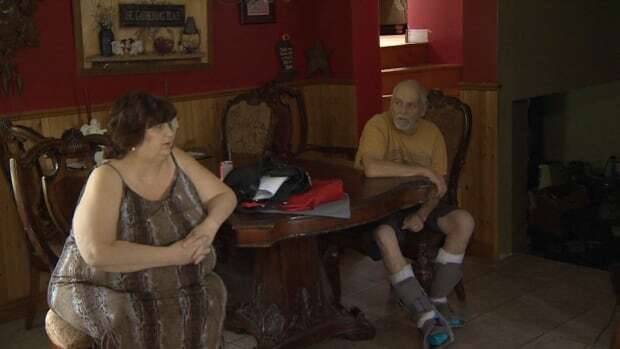 "And come this time of the year, when the weather's warmer, NB Power really does need their money apparently, and will disconnect people until those bills are paid." Linton said she keeps a separate food rack now for people who've lost their electricity. It contains more instant and packaged food and meals that can be prepared just with water to supplement the regular food basket. Linton said her board used to help families with their overdue bills before the disconnect policy went into effect in 2006. She said that would mean a one-time payout to a single family of about a few hundred dollars. But she says the first year the policy was implemented, overdue bills in the spring shot beyond reach. "That year it ended up being about $10,000 for five families and our board, which also runs the food bank, recognized that was too steep of an item to fit into our budget." Linton said although the board can no longer help with those bills, she is happy to match families with benefactors. In recent days, she says she introduced one cut-off family to a donor who came forward with a $1.000. NB Power said approximately 1,100 customers are disconnected annually. The utility added that represents less than one per cent of its entire residential customer base of 330,000. 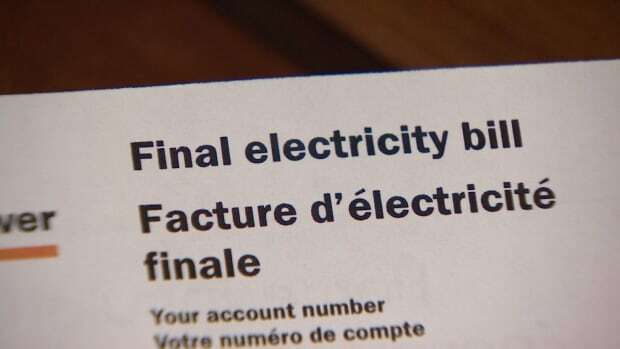 Communications officer Marc Belliveau said customers who are in arrears may be able to avoid disconnection if they are in legitimate economic need and have contacted NB Power to discuss their account and do continue to make mutually agreed upon payments on their outstanding balance. "We encourage customers to contact us if they are having problems paying their power bills, or if they anticipate problems in the future," Bellieveau wrote in an email to CBC News. In most cases we can help create a manageable payment schedule to avoid falling behind. We can also connect them with other resources that might be able to help," wrote Belliveau in an email to the CBC. "When the bill is paid, the customer is immediately reconnected without delay." NB Power's reconnection fee is $47. If someone is getting a new account, the utility may demand a security deposit ranging from $100 to $400, depending on the billing history of the area where the home is, said Belliveau. But he said NB Power rarely asks for a security deposit on a reconnect of someone who had been disconnected because of arrear issues. Rachel Cave is a CBC reporter based in Saint John, New Brunswick.